We are the leading supplier and trader of Cleaning & Inspection Systems. 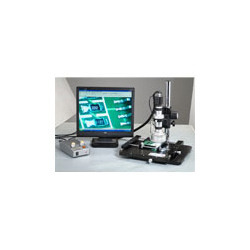 Digital USB Microscope having electronic imaging system. our employees are offered regular trainings in order to manufacture quality products. With the help of our experienced team members, we have been able to provide a wide range of 2D & 3D Video Inspection Systems to our valued clients. these are acclaimed for their purpose specific construction and high functional efficiency. hus there is a strong need for distortion free, accurate and clear Vision Inspection System. Looking for Cleaning & Inspection Systems ?